SAN FRANCISCO—At its public meeting on April 17, the Judicial Council will consider ways to deal with an anticipated shortfall of nearly $11 million in the judicial branch’s State Trial Court Improvement and Modernization Fund (IMF) for fiscal year 2015–2016. The recommendations from the council’s Trial Court Budget Advisory Committee include proposals to reduce or totally eliminate funding for some judicial branch programs and shift certain costs to different funding sources. The committee developed its recommendations based on multiple factors, such as if the programs are mandated, their value based on a survey of the courts and the number of courts served, and the impact reductions would have on individual courts and the judicial branch. Funding Model for Court Appointed Dependency Counsel: The council will consider a recommendation to change the method used to allocate annual funding for court appointed dependency counsel to the courts. The revised allocations would be based on caseload. Declaration of San Pedro Courthouse as Surplus Property: The council will consider a recommendation to declare the San Pedro Courthouse as surplus property and obtain the Legislature’s authorization to dispose of the surplus facility. The Superior Court of Los Angeles County closed the courthouse in June 2013 and has no plans to reopen it. Request to Lease Plumas-Sierra Courthouse: The council will consider a recommendation to lease the Plumas-Sierra Courthouse to a third party to help reduce judicial branch facility expenditures. The superior courts in Plumas County and Sierra County closed the shared-use facility due to current budget constraints, but would like the option to reopen it in the future. 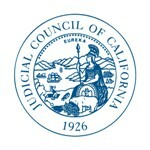 Update on Judicial Council Restructuring Directives: The council will receive an update from its Executive and Planning Committee on the implementation of the council's directives on the restructuring and realignment of Judicial Council staff. The update will include information on the two-day public meeting held on March 12 and 13, when committee members reviewed completed directives. The committee will also suggest changes to the format for reporting the status of the directives posted on the California Courts public website with the goal of increasing transparency and accountability. Updates From Council Liaison Visits to Local Courts: The council is scheduled to receive liaison reports on the superior courts in Glenn, Imperial, Nevada, and Ventura Counties (liaison reports are subject to change). These reports give council members information on a court’s operations and challenges, as well as its solutions to increase efficiency and effectiveness in how it provides access to justice for the public.